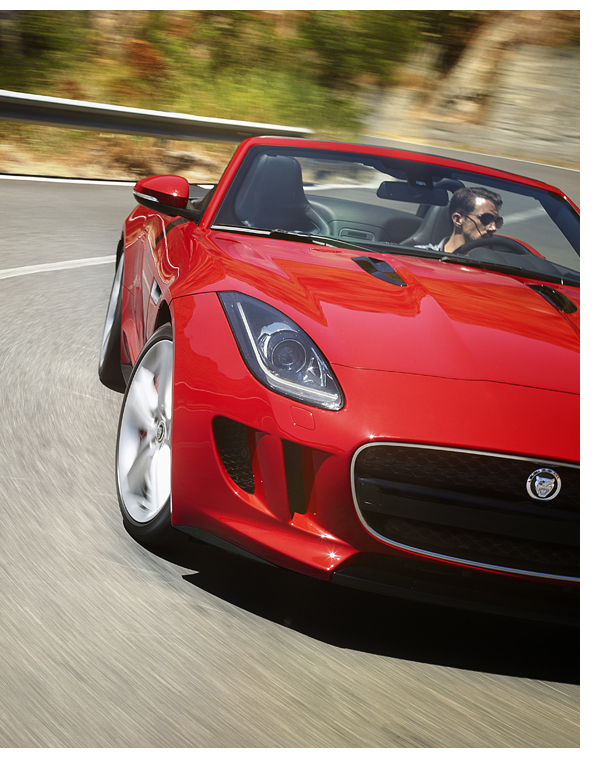 The new F-TYPE is a seductive, capable addition to the Jaguar fleet. It delivers the raw, sensuous beauty of the E-Type from the 1960s and ’70s—considered by many, even the great Enzo Ferrari, to be one of the most beautifully shaped cars ever conceived—with 21st century performance and accouterments. Best of all, the F-TYPE sheds Jaguar’s 20th century reliability issues; the British manufacturer is a top performer in JD Power’s initial quality surveys. With the F-TYPE, Jaguar has indeed produced a brilliant success. I have spent a lot of personal time with Jag’s retired S-Type—in both its 380 hp supercharged V-6 and 495 hp supercharged V-8 variants—and I found it to provide a highly enjoyable ride. For the automotive journalists assembled for the debut of the F-TYPE, the comparison between the new model and the S-Type polarized the group in terms of which car provides the ultimate setup. Both models weigh around 3,500 pounds, so these are big cats indeed, but they are so lithe that they hide their weight incredibly well. Jaguar’s current ad campaign in the U.S. features the tagline, “Now it’s your turn,” with a fellow returning from a test drive and flipping the keys to the first person in a long line of people waiting to drive the car. Fortunately, Jaguar has plenty of cars available at this event—in both the 380 hp V-6 and 495 hp V-8 trim, and in a plethora of colors—so we don’t have to wait long. With a few of the cars on display in Firesand metallic (aka bright, shiny orange), I am assured that orange is indeed the new red. A surprisingly gorgeous variation on the classic British Racing Green, the trademark shade of the E-Typeis also available. The new car is available in three trim levels: The base model, priced at $69,000, features a 340 hp supercharged V-6; the 380 hp V-6 Sport model, priced at $81,000; and the 495 hp V-8 Sport model, priced at $92,000. While this review should concentrate on the F-TYPE’s sophisticated Meridian sound system, the car’s active sport exhaust system, which essentially bypasses the mufflers briefly when you mash the throttle to the floor, uncovers a cacophony of enticing sound that is worth noting. As the only audio writer in a crowd of automotive journalists, I am interested to hear their take on the car. Almost all of them favor the V-8 version, some claiming that 380 hp is just not enough—an interesting take, considering that many of these same journalists went bonkers over the 400 hp Porsche turbo about 15 years ago. It would seem that we remain corrupted by power, even in the day of $4.00-per-gallon gasoline in the U.S. and double that in Europe. 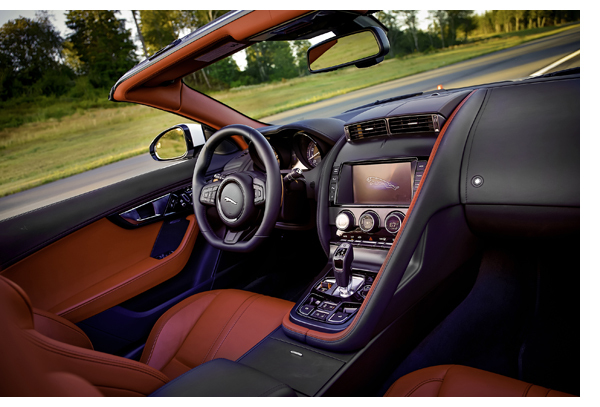 Throughout the course of the presentations, representatives from Jaguar repeatedly make comparisons between the F-TYPE and the Porsche 911. As a Porsche owner, I submit the F-TYPE is a wholly different car, more than deserving evaluation (and adoration) on a different level. The current 911 has become heavier and more posh over the years, especially in its latest iteration, with many core Porsche enthusiasts feeling it has become much more of a GT car in the process. Where the 911 is a sports car with luxury aspirations, the F-Type is a luxury roadster that is highly sporty, if that makes any sense. Many of my acquaintances who own 911s lament the same thing—the car is rarely a big hit with wives or significant female friends. The F-Type, by contrast, strikes a perfect balance of personal luxury and coddling that the 911 can’t muster, yet the Jag’s claws come out in earnest the second you mash the gas pedal to the floor, proving that the car is indeed a sporty performer. Doing so clearly illustrates that the optional free-flowing exhaust on the test vehicle keeps the car very civil in tight traffic yet free to roar on the open highway. And roar it does, the V-8 sounding more like a NASCAR engine at full song, encouraging inappropriate behavior and a major decrease in fuel consumption. As I pass a scowling Prius driver at full throttle, I casually glance at the “instantaneous mpg” figure on the Jag’s dashboard—it reads 5.3 mpg. But what an incredible way to dispose of fossil fuel. In light of the conversations of those loving New York and hating Los Angeles, I love both coasts equally for different reasons. Similarly, if I had the cash, I’d have a 911 and an F-TYPE in my garage. The F-TYPE strikes a wonderful balance of cutting-edge design and fashion-forward styling, while achieving an exterior look that I suspect will be as timeless as that of the E-Type. I doubt this will be a car that long-term owners will ever tire of looking at. The only question mark is will all the hardware and software under the bonnet be supported 40 years from now? While the E-Type had a reputation for being somewhat unreliable, it can still be repaired today. 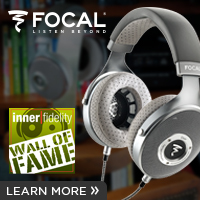 Automotive design aside, the star performer here is the optional 770-watt Meridian audio system. 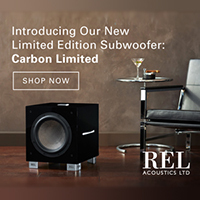 The 380-watt standard system is by no means rubbish, but it can’t be played as loud as the optional system. In real life, this means you can only blast Megadeth up to about 35 mph before road noise takes over, but with the bigger 13-speaker Meridian system, you can still rock the casbah at about 60 mph. This is exactly what I did, using the title track of Megadeth’s Countdown to Extinction as my first test. 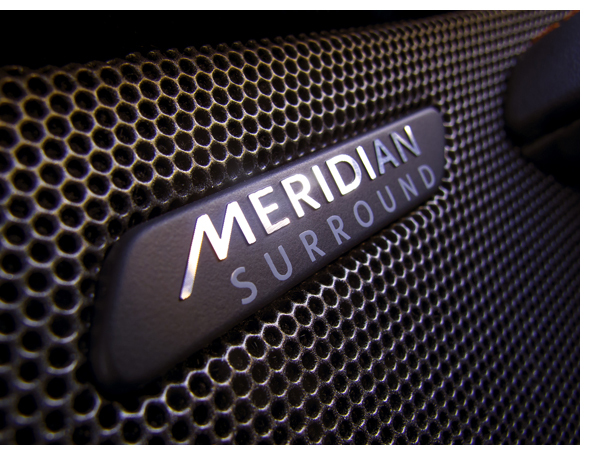 Derived from Meridian’s system in the Range Rover Evoque (reviewed in issue 45), this audio system is optimized and custom-tuned specifically for the F-TYPE. 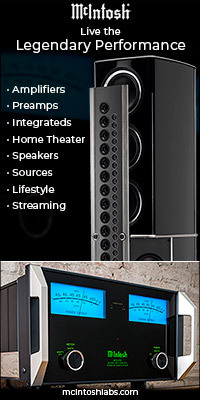 Meridian’s DSP (digital signal processing) experience works wonders here. The sound is dynamic, engaging and enveloping, even with the car’s top down and the throttle at a moderate position. But when you mash the throttle, forget about it. Top-down motoring and high-fidelity listening are two great tastes that don’t always taste great together. No offense to my friends at Meridian, but the F-TYPE is just too damn fun to drive fast with the top down to care about the audio system. Jaguar has done a marvelous job with noise control on the soft top, so top-up motoring is highly enjoyable, making the F-TYPE almost as quiet as a fixed-roof car. This is when you can truly enjoy the marvel of the Meridian system. The cabin is quiet enough to listen to classical music in a meaningful way. When tracking through Brahms’ Symphony No. 1 in C Minor, I find myself easily swept into the grandeur of the piece, able to enjoy the quiet bits almost as much as I do in my home system, with precious little road noise creeping in. 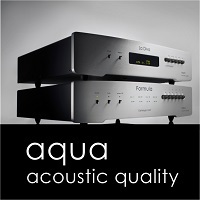 The soundstage is big, bold and very dynamic, reproducing the loudest kettledrums with authority and then seamlessly transitioning back to the moderate oboe passages. Rifling through a set of Blue Note XRCDs and a fair share of solo female and male vocalists proves equally compelling, with an excellent degree of stereo imaging throughout the front cabin—which, in the Jag, feels more like a large mobile set of headphones, while the system in the Range Rover Evoque provides a more cavernous experience.